Breyer model horses, which begin as artist’s sculptures, are all handcrafted and hand-painted with airbrushes and paintbrushes. Approximately 20 different artisans handle each individual Breyer model from start to finish – a process, which, 54 years later, is still done by human hands, not machines. Even today, no two Breyer model horses are ever exactly alike! 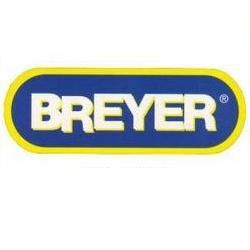 Breyer is distributed by Reeves, International.